If you follow the ‘other’ me, then you’ll know that I am trying hard to be just that little bit braver this year. To stick the occasional toe outside of my comfort zone and do things I’m generally too nervous or shy to do. So why was I on this mid-week road trip? On Wednesday evening I went to my very first Romantic Novelists Association meeting!! As a writer I obviously spend a great deal of time on my own, and am very comfortable in my own company. I love spending time with friends, but I do get quite nervous when I meet new people. 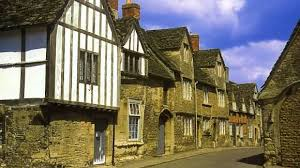 Although I was really looking forward to my very first outing as Jenny Kane, as I got ready to head to a pub in gorgeous village of Lacock in Wiltshire, to meet fellow writers Rachel Brimble, Jane Lark, Nicola Cornick, and many others… I was experiencing more than a few butterflies in my stomach. Of course I need not have worried at all- what a wonderful group of folk!! Welcoming and kind, we were all soon chatting writing, and confirming my long held belief that writers really do need writers. Only fellow addicts of wordage really “get” all our strange little hang ups, our inbuilt paranoia, and our “do we market too much or not enough” worries. It is always a relief to know I’m not the only lunatic in the asylum! I’d like to extend a huge thank you to Rachel Brimble for allowing me to come along and join in the fun.